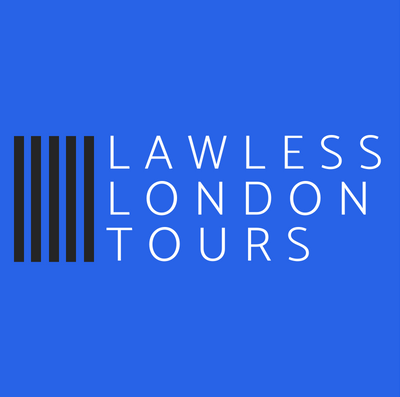 My name is Jo Marchant and I’m the founder of Lawless London Tours. The company is a brand new venture and if you sign-up for a place on The Whitechapel Murders tour you will be one of my first customers. I set up Lawless London Tours because I am equal parts history geek and walking tour enthusiast. Since moving to London for my History degree many years ago, I’ve been awed and inspired by the incredible amount of history that you can encounter in virtually every street. For a historian, London itself is an incredible artefact. It’s infrastructure, buildings, and street names are a tangiable connection to the millions of Londoners whose lives have played out in this city. Fascinated by this urban environment, in 2012 I completed a PhD in Victorian London. Since then I have taught London history at the University of Westminster, which included classes on the Whitechapel Murders, policing, and poverty. As a lecturer I frequently took students out of the classroom to explore the visible signs of the city’s past. The walking tour was an important teaching tool and it’s where I discovered my enthusiasm for connecting what we can see today to the near and distant past. I left lecturing a few years back to work in higher education access, and though I love my work I’ve missed having regular interactions with people on a topic that fascinates me. I’ve continued to develop and deliver walking tours to friends, family, and colleagues, but now the time has arrived to turn this passion into a bigger project. Lawless London Tours and my blog focuses on the city’s darker side. I’m interested in uncovering how the law and moral codes were subverted by those who, out of desperation and poverty, had little choice but to live a life on the fringes of what society deemed accept able. I’m also interested in those who deliebrately and willingly stepped outside the boundaries of the law, as well as those who took provactive and often illegal action to bring about change. Alongside this there is a story to tell about how London was policed and how attitudes to the punishment of criminals developed. By examining how Londoners reacted to criminal events and their perperators, we are able to gain insight into their fears and concerns, their prejudices and priorities. The history of crime and policing offers a route into understanding how and why society governs itself in the way that it does. I hope you will consider joining me for a walking tour so we can discover London’s underworld together.